Personal EMF Protection? EMF-Green Building Design? 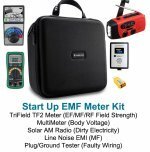 Need to Ask an EMF Expert a Quick Question? Every day we receive numerous EMF queries asking for EMF protection advice, and often we have been able to help with simply a quick 15 - 20 minute Ask-an-EMF-Expert phone consultation. In most cases like these, a photo of the EMF issue emailed to us beforehand may be all that is needed to provide helpful, actionable over-the-phone professional advice. Simply need a little EMF Protection Advice? Ask an-EMF-Expert Phone Consultation is $25 for 15 - 20 minutes. Visit this info page to Learn more, Request your phone consultation date/time, and Prepay via PayPal. Please allow 24 - 48 hours to request your phone-time. When your PayPal payment has been received, we'll email you to promptly to confirm your date/time and contact details; you will also be asked to email us a photo if it is helpful for illustrating or understanding the issue under discussion. Learn more about what types of Ask an EMF Expert questions are well suited for a quick consult. If your issue entails much more than a simple question, in depth Professional Certified EMF-Expert phone consultations are available in $75 per half hour increments. Typically these are the sorts of in-depth consultations that will include the need for several photos of the situation, important relevant details or documents, and thorough question and answer. Taking advantage of our one-time Ask and Expert 15-minute phone consultation can be a good place to start. When is an actual on-site EMF Consultation necessary? In response to situations like these emailed to us (below) where maximum professional EMF protection is the goal, our best advice is to request a "boots on the ground" on-site consultation. Refer to our EMF Experts Directory for a consultant or service provider in your area. Also refer to on site commercial, industrial, hospital and insurance EMF Compliance Testing and to on site residential EMF Consultations including home offices and businesses, for more info on on-site consultations designed to deal with EMF protection, remediation, blocking, etc. Contact Us with any questions. We're glad to help by whichever consultation method best meets your needs. 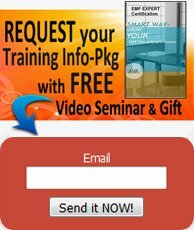 The information on this website has been created to help advance knowledge in the areas discussed and provide EMF protection background information based on existing knowledge and relevant factors that may significantly influence health and well being, as well as related matters such as sustainability. This work is not intended as a final statement on these topics, and as more information becomes available, the concepts given may develop, be adapted or change. Whilst all reasonable precautions have been taken to ensure the validity of the information presented, no warranty (guarantee) is given towards its accuracy. No liability is accepted by the website author(s) for damages arising from its use and/or interpretation by others. The mention of specific companies or of particular manufacturers’ products does not imply that they are endorsed or guaranteed by EMF Experts. Please use proper consumer due diligence. The listings of people, products, companies, etc that are included in the EMF Expert Professional Directory are available to the public without warranty (guarantee) of any kind. Graduates of the EMF Expert Certification training course are noted with a designated sign for convenience and assurance that they have met training standards. The responsibility of proper due diligence again lies with the prospective client or consumer. The published materials are being distributed on this website without warranty (guarantee) of any kind, either expressed or implied. The responsibility for the interpretation and use of the materials lies with the viewer/listener. In no event is EMF Experts, its employees or its parent Engineering Energy LLC, or its founder Chris Young, liable for damages arising from their use. All information is provided with good intent.